Outmigration from Mariangela Lopez on Vimeo. What would it feel like to be able to take off, defeat gravity and get drunk at the edge of space, where one can only keep moving? What would happen if you were to be rescued by unknown forces the day you felt as if everything were falling apart? Where would you end up? The creators of OUTMIGRATION asked themselves these questions to conceive a radical dinner-theater piece that unveils a journey, a feast in seven acts. 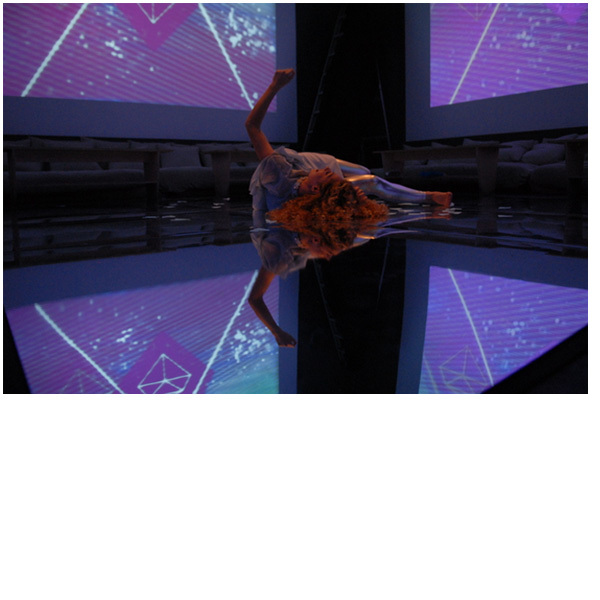 Filled with compelling and inventive dance/theater performance, surrounded by four screen video projections of striking geometric images and an evoking soundtrack, OUTMIGRATION becomes an all-ascending experience that can only be completed by a 12-course dinner menu specially created to take you along this amazing voyage. Choreographer, Mariangela Lopez and art directors Monica Brand and Francisco Lopez (Mogollon), created this unique performance that combines video, sound, and choreography with a 12-Course Tasting Menu from renowned Monkey Town Chef Ryan Janorik (Masa of Boston) whose food creations was specially designed to follow the ascension to the piece. 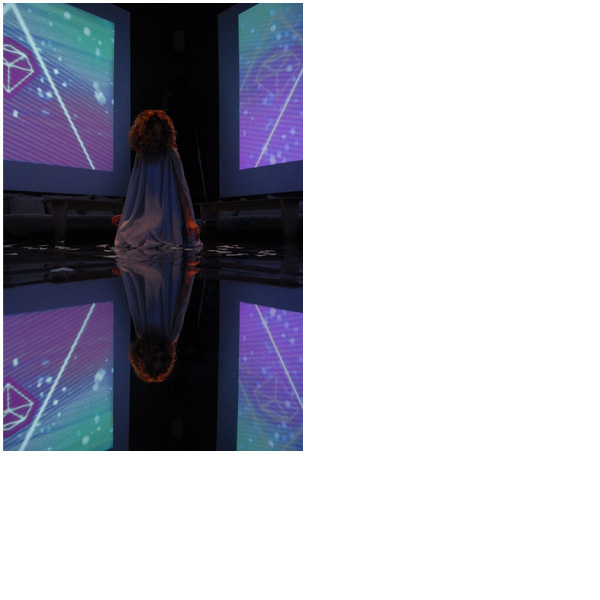 OUTMIGRATION also included the participation of artists such as Craig Dongoski (sound artist), Natalie Broizat (performing artist), Devika Wickremesinghe (dancer) and Isadora Wolf (dancer) and David Tirosh (lighting design). CHOREOGRAPHY: Mariangela Lopez and Nathalie Broizat (The sky session). 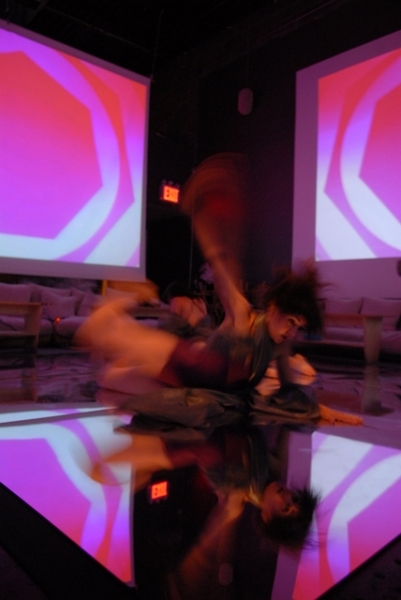 Outmigration was premiered at Monkey Town (dinning and performance space), Brooklyn NYC in June 2007 and reprised in October 2007 for 2 consecutive weeks.